At Sheerview Window Furnishings our aim is to help you realise your home design and decor goals though high quality awnings, shutters, blinds, sheers and curtains. We aim to make the process as smooth as possible by offering a comprehensive service where we come out to measure your windows, provide detailed information about your options and help you get the best result on your budget. We then work around you to find a convenient time to install your beautiful window furnishings. Our range of awnings offer seamless style regardless of the type of awnings used through a premises, with interchangeable mechanisms using the same headset. 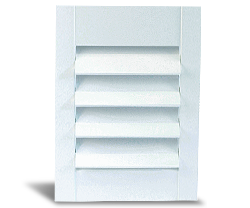 Shutters have improved vastly over time and we offer the highest quality timber, aluminium and pvc shutters with an amazing variety of colour options to suit any interior. Living on the Gold Coast is wonderful, but the only way to create a comfortable indoor environment during the hotter months is to either spend a fortune on air conditioning, or use blinds and awnings. You can also use an air conditioner in conjunction with blinds and awnings. You will save a lot of money compared to using an air conditioner alone to get your chill on. Awnings are the first line of defence against solar electromagnetic radiation (otherwise known as sunlight). It’s important to know the nature of the problem you’re dealing with. Sunlight is one of the most dangerous forces of nature because it is so insidious. If you want to age more rapidly, spend a lot of time outdoors. 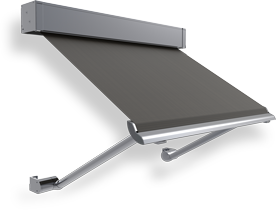 How awnings help to protect you is by blocking and filtering a significant portion of sunlight before it reaches the window. This slows down the light and weakens it, reducing the radiation potential so that it will take much longer to generate heat. 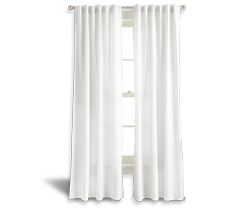 Back this up with blinds, which can stop or redirect most of the remaining sunlight, and further decrease its heating potential. Following the journey of a sunbeam, we can get a glimpse into how this works. First the light strikes the surface of the awning, where most of it is reflected, some is absorbed, and some manages to pass through. The light which has passed through has lost a lot of energy on the way and is slowed down quite a lot. This low energy light loses much of its luminosity and electromagnetic radiation, which is in fact exactly why solar panels work less effectively in the shade than they do in bright sunlight. The light continues on and strikes the surface of the window, where again a portion is reflected off the surface, some is absorbed, and quite a lot passes through this time because glass is transparent. If the window has a high energy star rating, more light gets absorbed or reflected than normal. Again the light that passes through is weakened slightly. Next the light hits the blinds. If they’re fully closed, a lot of light will be reflected back to the window, some will be absorbed, and almost none at all will pass through. Exactly how much is able to pass through, if any, depends on the material the blinds are made from. If the blinds were not fully closed, then instead of being completely blocked, some of the light will be redirected. This is less good, but still acceptable, as it will slow the light down a little and still cause it to lose energy, just not as much as if it was blocked. All the light that has managed to find its way into the room has very low energy, so it is not capable of producing much luminosity or heat. The use of any kind of cooling system will further diminish the heating effect of the light. Because the air in the room is cooler to begin with, it will cost less to cool the air in the room to a specific comfortable temperature. All blinds and awnings will be beneficial, but to truly get the right results, you need to make sure you make the correct selections in the first place. 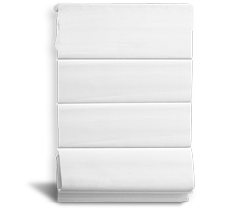 For helpful advice and outstanding service, visit Sheerview Window Furnishings. We have the best range of blinds and awnings on the Gold Coast waiting to be discovered. Our aim at Sheerview Window Furnishings is to help you achieve your home design and decor goals through high quality awnings, shutters, blinds, sheers and curtains.